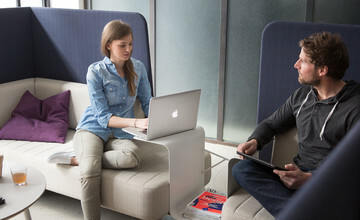 Future offices need to provide employees with differentiated, versatile work environments which offer supportive settings for a variety of activities. Rigid spatial structures are disappearing. Space needs to be designed around the tasks that are to be performed. “Activity Based Working” is the order of the day. With m.zone, WH has developed a mould-breaking interior design concept for offices which is perfectly suited to the organisation of agile businesses. 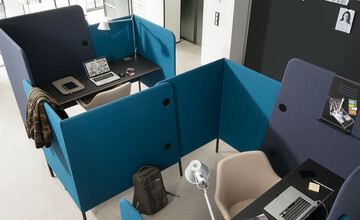 m.zone consists of individual elements such as room dividers, modular and standalone furniture pieces, which can be combined flexibly to create new working environments to suit client’s individual ideas and needs. As it is highly versatile, m.zone is ideal for a wide range of application areas within the office architecture: Open plan offices, collaborative spaces and lounges, as well as reception and waiting areas.